State Assemblywoman Jacqui Irwin, a Democrat from Thousand Oaks, has introduced AB 405, a measure that would create a pilot program for a four-year degree in cyber security in select community college districts. Ten other pilot programs currently offer four-year degrees in high-demand industries at select community colleges across the state. The proposed program would create a vehicle for some districts to offer a Bachelor of Applied Sciences and plug a huge skills gap between demand for trained IT professionals and the available labor supply. We strongly favor this bill and we’d argue that Allan Hancock College in Santa Maria is the perfect location to launch the pilot program. That’s partly because the burgeoning tech industry all around Santa Maria offers plenty of jobs. Vandenberg Air Force Base, local employers and tech firms in South Santa Barbara County and San Luis Obispo County will be clamoring for its graduates. In addition, Hancock College has no easy place to send its graduates for four-year degrees. Cal Poly San Luis Obispo recruits on a statewide basis for college transfers and has no preference for Hancock students. The nearest California State University is Channel Islands, some 120 miles away. Hancock President Kevin Walthers has made a strong case for developing four-year degree programs. 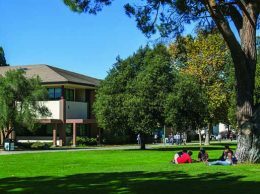 But absent a windfall for the CSU system, it will take time to find funding and develop programs to create a satellite campus for Channel Islands in Santa Maria. By becoming a pilot for the cyber security undergraduate degree, Hancock will be able to train additional faculty to meet four-year degree program requirements, get facilities up to speed and inculcate a culture of higher education attainment in the community. A logical next step would be to develop a nursing undergraduate degree program in partnership with Channel Islands, which already has a satellite program in Santa Barbara. There are good reasons for a bipartisan group of legislators up and down the Central Coast to jump on the AB 405 bandwagon and for the Hancock College leadership to begin thinking about what it will take to make a compelling case for a four-year cyber security degree program. 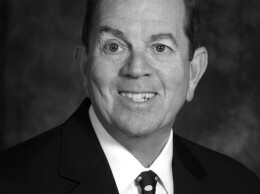 Speaking of community colleges, an article co-authored by Ventura County Community College District Chancellor Bernie Luskin in a recent issue of “Psychology Today” points out the demand that veterans will place on the system in the coming years. Five million veterans who served in the post-9/11 era will transition to the workforce in the next three years and there will be more than 21 million veterans nationwide. “The large number of returning veterans will shape the trajectory of our nation’s future” in a way that returning World War II veterans had on the nation, the authors write. Luskin and others write in support of funding for veteran’s resources centers with California’s community colleges under AB 2494, a bill that Assemblywoman Irwin also has been involved in supporting. Luskin will be retiring later this year but we hope he’ll devote some time to supporting veterans’ programs. His voice is important.